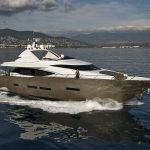 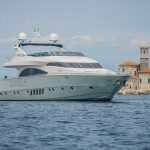 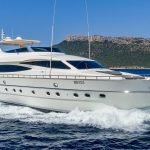 MOKA is an exceedingly stylish 23 metre Princess motor yacht that combines all the assets required to make your cruise the most enjoyable for you and your guests. 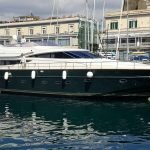 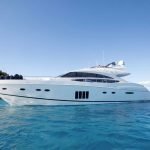 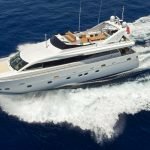 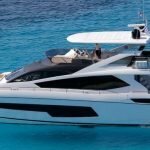 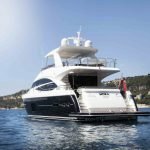 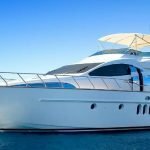 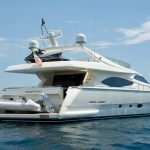 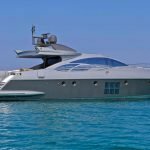 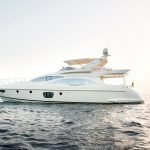 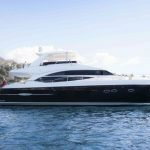 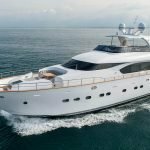 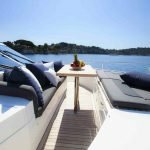 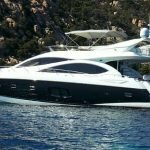 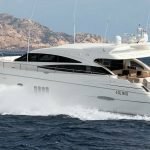 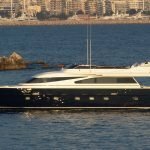 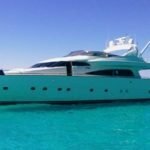 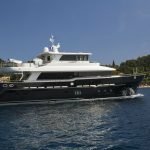 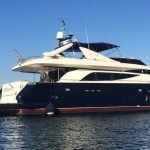 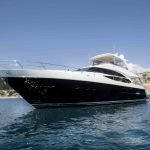 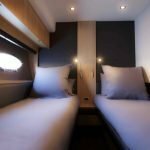 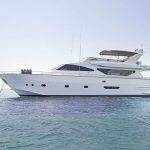 A dynamic captain and his professional crew of 2 will take the greatest care while you are onboard this luxurious unit that was launched in 2011 and was completely refitted in 2015. 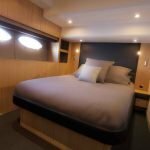 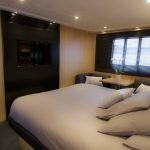 She offers 4 cabins (with satellite TV/DVD player and Bose premium sound system) for up to 8 guests: the stunning master suite in the centre of the boat, a spacious forward VIP cabin, and two lovely double guest cabins. 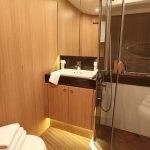 A welcome drink awaiting in the luminous saloon will provide the eight guests with their first wellbeing and serenity sensations. 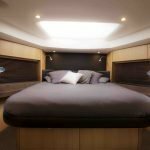 The richly furnished accommodation comes with a trendy and contemporary design, understated and in good taste. 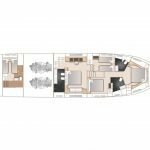 Fitted with stabilizers 5 underway and zero speed, she offers an incredible comfort during navigation. 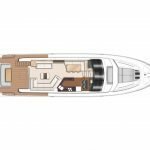 Enjoy the spacious flybridge, where nothing is missing: solarium, saloon with table, galley and helm. 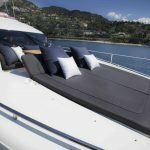 A hard roof, perfectly integrated in the yacht’s profile, will protect you from the strong Mediterranean sun. 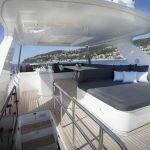 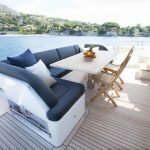 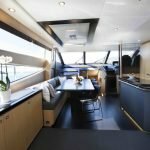 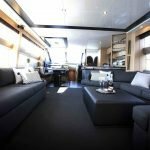 Onboard MOKA, the forward saloon will provide private times out of sight from the quay. 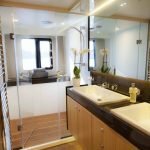 She has a private foredeck retreat and a generous bathing platform. 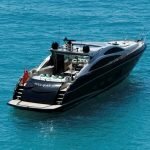 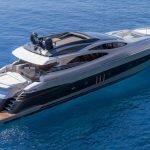 Then enjoy a dive from the large hydraulic bathing platform, where all the toys on MOKA are at your disposal: Seadoo Rs2, paddle, kayak, water skis etc, unless you decide to give a try to jet-skiing with the 325 Williams Tender in the sunset, facing the charming harbour of Saint-Florent? 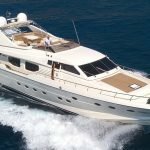 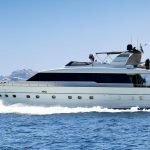 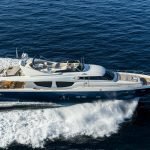 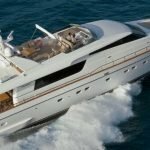 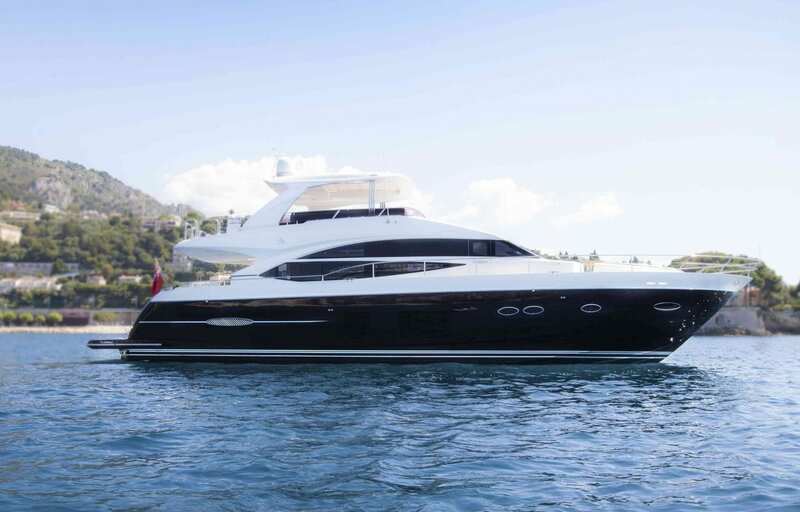 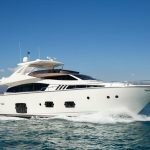 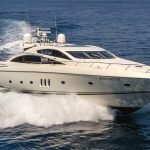 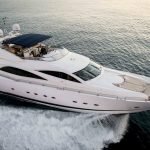 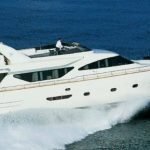 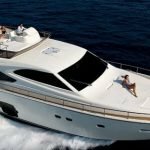 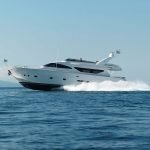 Exclusive motor yacht Princess 72 MOKA will offer you luxurious and memorable holidays.